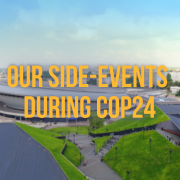 With the annual UN Climate Conference just around the corner, we are excited to invite you to meet our Climate & Energy Team at our side events on December 12 in Poland. This year, the 24th conference is taking place in Katowice, Poland from 2-14 December 2018. The energy transition can only succeed if energy supply is democratised. 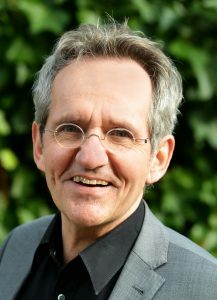 We talked to Uli Ahlke, head of the district office for climate protection and sustainability in Steinfurt (North Rhine-Westphalia, Germany), about success factors of community energy. Citizens contribute significantly to the energy transition. Including farmers, individuals own about 42% of all renewable energy installations in Germany. Unfortunately though, the German federal government does not support community energy sufficiently. At this point, local governments can make a decisive contribution to promoting community energy. The German District of Steinfurt, near the Dutch border, is setting an exemplary path. 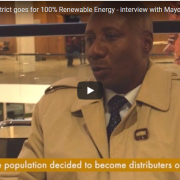 Its 24 municipalities with about 445,000 inhabitants aim to be energy self-sufficient through renewable energies by 2050 – with the greatest possible participation of the local population. Already today more than 60% of the electricity stems from renewables. 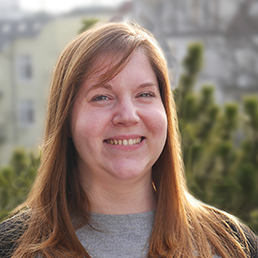 We talked to Uli Ahlke, head of the district office for climate protection and sustainability, about strategies and possibilities for local authorities to support community energy, about dealing with national obstacles, and about the future of the energy transition. The International Renewable Energy Agency (IRENA) Coalition for Action describes community energy as “the economic and operational participation and/or ownership by citizens or members of a defined community in a renewable energy project” – regardless of size and scope of the project. Community energy is any combination of at least two of the following elements: Local stakeholders own more than half or all shares of a renewable energy project; voting control rests with a community-based organisation; and the majority of social and economic benefits are decentralised locally. 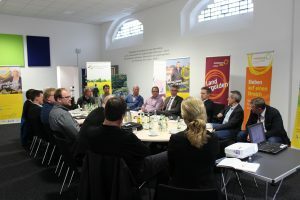 World Future Council: The district of Steinfurt aims to be energy self-sufficient through renewable energies by 2050. Supporting community energy is an integral part of your work. Why did you choose to support community energy to promote the expansion of renewables rather than focusing on large-scale investments? Uli Ahlke: We have conducted several surveys in our region, and we know that the balance sheet energy self-sufficiency can only be accomplished once we operate in a regionally decentralised manner – and that it won’t work without the citizens. About 18 years ago, we experienced a very intensive expansion of wind energy with a lot of foreign investors in our region. At that time, we quickly reached acceptance limits. We are convinced that we cannot achieve our ambitious goals without wind energy. That is why we asked ourselves what we need to do to maintain acceptance for a new expansion momentum. We needed to involve people in the planning process and to give the local community the opportunity to participate in local value creation. After all, the district of Steinfurt spends 1.5 billion euros a year on energy – for electricity, heat and mobility energy. Money we want to keep in the region. How exactly can community energy be integrated into local climate action planning, and which participation mechanisms were particularly effective in Steinfurt? What we do here is only possible because we have this team. We are 22 employees who take charge of the region’s sustainable development, of rural development, climate protection and education for sustainable development. Structurally, we consolidated the whole procedure last year and founded an association – the “energieland2050”. We communicate through traditional media, but are increasingly active in social media; we organise broad-scale participation proceedings; we place a strong focus on the regional advantages; and we have many amplifiers, especially on the part of the wind farmers. As part of the wind energy expansion, we have set guidelines for all upcoming civic wind farms – in cooperation with the property owners, i.e. the farmers, with the farmers’ association, the municipal utilities and our 24 mayors. These guidelines not only guarantee the involvement of citizens, but also ensure that the first focal point for loans are local banks, and for energy marketing the municipal utilities. For the recruitment of financial resources through public participation we organised three events for one wind farm alone, attended by around 900 people. Two weeks later, we had 30 million euros, although we only needed 15. In 2011, we set up a “Wind Energy Service Station”. There, we have a colleague, who deals with conflict management. She talks to the people and seeks solutions with them whenever there is a problem. We also launched a “Wind Energy Round Table”, where we regularly invite all stakeholders involved in wind energy to address conflicts openly and transparently. But wind energy is just one piece of the puzzle. Our goal is to initiate climate action in the region, involving more and more people. Many people trust us; that we practice what we preach, that we do things well, and that we act in accordance with the Agenda 21. But that did not come out of the blue – it emerged over the years, during which people got to know each other, and learned to trust each other. I also believe that sustainability and regionalism are closely interlinked because we give up anonymity and work with people we know. I agree with you. How do you deal with national legal and regulatory obstacles to citizen-owned renewable energy installations at the local level, such as the 2017 Renewable Energies Act (EEG) Amendment? I believe that the energy transition can only succeed if there is – in Hermann Scheer’s words – the “democratisation of energy supply”. The 2017 EEG Amendment, however, weakened the community energy movement. The reason for this weakening is presumably an energy policy that is geared towards corporations. But we need a policy that is citizen-oriented. The corporation-oriented policy actually prevents a successful energy transition. I am following Berlin’s energy policy with concern. If we do not change course very quickly, we will certainly miss the 2-degree target. The approach we chose in Steinfurt is characterised by our energetic imperative “regional – decentralised – CO2-neutral”. This is supported and accompanied by the “energieland2050 network of entrepreneurs”. Only responsible companies from the region are involved in this network. 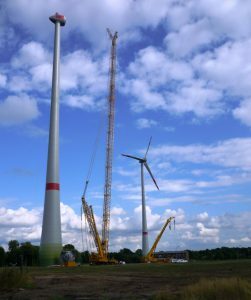 A study by the Leuphana University of Lüneburg has shown that the main obstacle to initiate community energy projects are the availability of equity capital and access to vacant space for renewable energy installations like wind turbines. How can local authorities help in these areas? At the beginning, we conducted a study to identify our potentials for the wind energy expansion. We must not forget that our region is not particularly suitable for wind energy; we are not a coastal region and are partially suburbanised. On the basis of the potential study, we developed the guidelines for civic wind energy together with the farmers’ association, the mayors and many other stakeholders. This accelerated the expansion of wind energy. We implemented the wind energy expansion with regional stakeholders and did not rely on any external project planner or consultant. The expansion was also largely financed from the region – from its citizens, and its local banks. This is a relatively unique approach in Germany. When we started to address wind energy with some actors in 2010 and even approached it strategically, people were very sceptical. And today I look back very relaxed and say: It worked! I am glad to hear that. Let us now come to the last question. You have been working with passion for many years in this area. Which advice can you give to people in local governments not to lose patience and confidence in their work for renewables and citizen participation? What you need is perseverance, patience and the faculty of abstraction. Human beings are often too impatient and cannot imagine the world changing but it is changing faster than ever. I think that in order to win people it is not enough to have good arguments, but it is important to draw a picture, a future scenario, of where you want to go and how positive the future can look like. At the end of my speeches, I often show a picture of the district of Steinfurt, which says: “District of Steinfurt – 24 health resorts”. If the energy transition succeeds, we will breathe clean air and it will be quieter. So if it succeeds, and I suppose that it does succeed at least partially, then life becomes more enjoyable and we get out of the air pollution dilemma which we are in now. Interview conducted by Nele Kress. IRENA Coalition for Action (2018). Community Energy. Broadening the Ownership of Renewables. https://bit.ly/2MCevv9 (28.08.2018). Agentur für Erneuerbare Energien (2018). Bürgerenergie bleibt Schlüssel für erfolgreiche Energiewende. https://bit.ly/2nztV4q (28.08.2018). Agenda 21 is a comprehensive plan of action to be taken globally, nationally and locally by organisations of the United Nations system, governments, and major groups in every area in which human beings impact on the environment. It was adopted by 172 governments at the United Nations Conference on Environment and Development (UNCED) held in Rio de Janeiro in 1992. The Renewable Energies Act (EEG), which came into force for the first time in 2000, is the central control instrument for the expansion of renewable energies in the field of electricity in Germany. The fundamental changes of the last major amendment to the EEG in 2017 relate to compulsory direct marketing and a fundamental system change from the feed-in tariff model to the tendering procedure. This model has been criticized for failing to meet the climate protection goals of the Paris Agreement and for discriminating against community energy projects. In Oxford County poverty eradication is high up on the agenda. To tackle this, the County has designed and implemented a comprehensive plan which is designed to assess inequalities across the community and suggest measures to lead as many people out of poverty as possible. 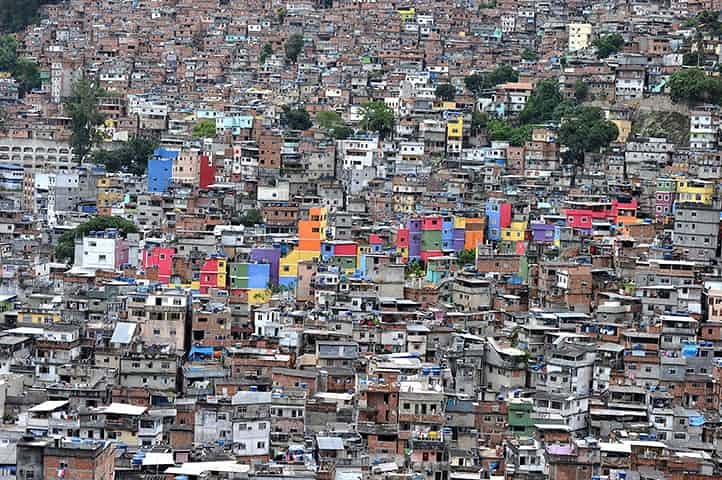 The most neglected areas in the city of Rio de Janeiro, commonly known as “favelas”, are irregular units that started to develop, usually onto hillsides, during a civil war in the final years of the nineteenth century. As it continued to grow over the years, it was embracing former slaves, immigrants coming from other parts of the country searching for jobs, and any other person that couldn´t afford to buy or rent a house in the city. The consequence is an area inhabited by the poorest class, with an un-existing urban plan, houses and buildings with bad infrastructure, difficult access and precarious public services. This reality created a separation between those inhabitants, commonly known as “people from the hills”, and the inhabitants from the rest of the town, known as “people from the asphalt”. Nowadays, there are around 762 of those communities in Rio with more than 1.4 million people residing in them (approximately 25% of Rio´s population) but, unfortunately, many of them are still neglected by the city. The consequence of the weak presence of the state is that these areas work in a different system, with different rules, where inhabitants had to work in a self-sufficient manner. They had to learn how to protect and help themselves and thus developed a sense of a society that functions as a family. With the goal of handling the daily challenges, and also as a way of having an internal political structure, they created their resident´s association, where a resident is elected by the inhabitants to be an active voice inside and outside the slums. They are responsible for organising forums, creating their land ownership titles, solve issues related to infrastructure, such as sanitation, medical care, energy, transportation and, especially, to establish a connection of those inhabitants with the city hall, bringing all the issues of their region. Instead of what many may imagine, these areas in Brazil are responsible for generating 78,3 billion Reais (approximately 20 billion euros) per year. This is a direct consequence of the fact that residents had to learn how to be entrepreneurs in order to provide for their needs. Approximately 44% of inhabitants want to have their own business and 62% of them want to do it inside the community. It has become part of their culture to fight for their interests and to show their value to the community, and to the rest of the city. Moreover, since the term favela became a derogatory way of talking about these neglected areas, especially the term favelado – a person that lives in the favela –, they requested to be recognised as a Community, a definition that fits perfectly with the way that they developed and behave. The problems regarding infrastructure in the favelas are enormous. They have precarious sewage systems, transportation, water, and especially, electricity infrastructure. Energy consumption is increasing due to the rise of technology and evolution of electronic devices, and the expectation is that the demand for electricity is going to continue to grow even more. Light is the company that is responsible for producing and distributing energy in the entire city of Rio de Janeiro but, unfortunately, the service that is provided is not equal for every area of the town. These circumstances developed a “culture of non-payment” in slums, where dwellers get their energy directly from the overhead cables, creating a system where their home will have electricity without the inhabitant having to pay for it. Even though it seems like they are only taking advantage of the situation, there are many disadvantages to this system. Without a meter, residents cannot have an energy bill, and don’t have a proof of residency that is acknowledged by the city hall, which means they are unable to open bank accounts and receive mail. Moreover, they are vulnerable to electrocution and fire, due to overloads in the transformer. The key to the problem is not only that some residents cannot afford to pay for electricity, but that electric energy is part of a basic need of any resident of a big city, and they should be receiving a better quality service. In addition to these problems, ANEEL– Brazilian Electricity Regulatory Agency – has set a goal in which electric power companies have to reduce their commercial losses of electricity annually, and now the inhabitants live in constant fear of getting a fine from the energy company. The main idea of community energy is that local members have full participation in the process of managing and generating their own power through renewable energy. 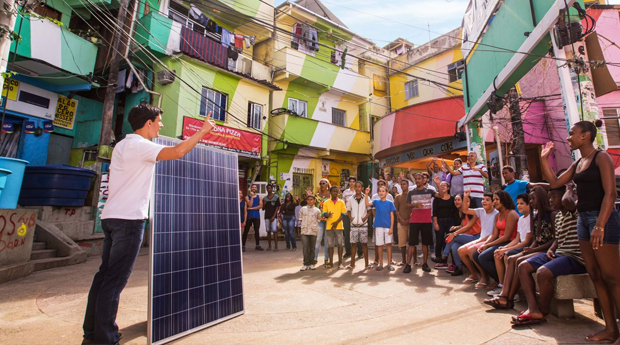 Considering that this is already in line with the modus operandi in Rio´s informal settlements, the implementation of this concept would come as a natural solution that will help dwellers to pay a reasonable price for electricity, lose the dependency on big electric companies, and have a quality service. The approach to this investment will be different in each community, since is important to consider the size, structure, political involvement, background and the need of every area in order to choose the right system. In the Santa Marta community, the social organisation Insolar implemented such a community energy concept over a period of two years. Dedicated to promoting democratic access to energy through the installation of photovoltaic systems, it works closely with a variety of stakeholders, also providing awareness of the technology and environmental education. With the objective of having the inhabitants as the protagonist, they also invest in the local workforce to improve empowerment of the residents, teaching them how to install PV panels, getting them involved as much as possible, and having as a consequence an increased spirit of collaboration. They have fitted more than 150 PV panels to the roofs of many buildings in Santa Marta, which represents more than harnessing power from the sun – it is also shaping positive future of clean energy and generating a spirit of collaboration among inhabitants. Even though the sun shines for 2.000 hours a year in Brazil, only 0.2% of the country’s energy comes from solar power. The current Brazilian legislation shows the lack of incentives for renewable energy and especially for solar home systems. Residential and commercial customers are allowed to net-metering, a system that gives the possibility to use energy at any time of the day and in any climatic condition. Those connections will work through the Energy Compensation System, where all the power that is produced in excess becomes an “energy credit” for the customer, measured in kWh, and can be used to complement the months where the production is lower than the amount of energy that is consumed. However, this energy credit is only valid for 60 months, and after that this extra production is “given” to the company, according to normative resolution 482/2012 created by ANEEL. Another critical issue is the minimum fee, or cost of availability, that is always charged even if the production is higher than the consumption, which is problematic for those dwellers that cannot afford to pay for the electrical bill. The necessary amount to invest in this new technology is also a big issue since is still very expensive and is considered to be profitable only after 4 or 5 years of use. This investment is part of a long-term energy plan with several socio-economic benefits. Projects for community energy should prioritise and encourage local investors, especially to explore the vast possibility of income and finances that can be provided by it. However, the communities should also have in mind that any stakeholder is essential for its development. Implementing targets, creating regulations and facilitating equal market access is a good strategy to attract stakeholders and increase participation of the local inhabitants. Forming partnerships with a dealership, in order to get loans, could also increase the possibility to implement such a project. Moreover, it is vital to learn how to work with the government, considering that it can create special incentives, specifically for slums, in order to promote more significant investments in community energy. Commercial losses, also known as technical losses, is associated with the energy that is not billed, that is lost in the grid during the distribution process, measurement with errors or consumed by units without metering equipment. The World Future Council and Bread for the World are hereby cordially inviting you to their side-event on the margins of the High-level Political Forum 2018 in New York, on 17 July, at 3.30 pm in the Church Center of the UN. The event describes the vital relationship between renewable energy (RE) and sustainable development. In particular, it demonstrates how supporting the transition to 100% RE is a driver for sustainable development that leaves no one behind. Hereby, it unveils how transitioning to 100% RE contributes to the achievement of the Agenda 2030 and its 17 Sustainable Development Goals. 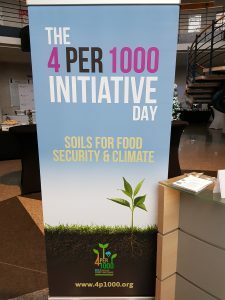 The event convenes civil society organizations, policy makers, development agencies and community leaders involved in sustainable development especially in countries in the Global South. Learnings from Tanzania and Bangladesh will be presented to catalyze replication in other countries. Achieving a transformation of the energy sector to stipulate pathways and scenarios for SDG7 is a necessary pre-condition for the achievement of the Agenda 2030 in full and the highly urgent implementation of other international commitments such as the Paris Agreement. Therefore, this event seeks to highlight the interlinkages between SDG 7 and the other 16 SDGs and how a strategic transformation towards 100%RE contributes to achieving all of them. How do these interlinkages manifest itself in different national contexts and how can we replicate learnings and findings? What is the role of the national government and how can 100%RE benefit domestic socio-economic development? What lessons can be learned from the German “Energiewende”? Need pictures to make your tweets more catchy? You can use the memes below. When it comes to the development of the energy transition, local communities play a central role in leading the way to a decentralised energy democracy. 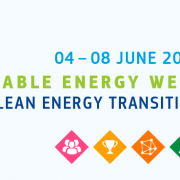 The Policy Conference organised by the European Commission aiming to share and discuss new policy developments, best practices and sustainable energy ideas. As part of the conference, we will hold a session on the importance of energy communities presenting new roles and pathways communities are currently developing around Europe. 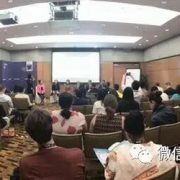 8th February 2018, at the 9th World Urban Forum in Kulua Lumpur Malaysia, the World Future Council in cooperation with the Energy Foundation organized a network event to facilitate cities from One Belt and One Road Initiative (OBOR) countries to exchange experience on regenerative city – regeneration of energy, resource, urban ecosystem and urban space in urban development.